Each 40-degre sub-sector assembled by this sub-assembly tool will comprise one vacuum vessel sector, two toroidal field coils, and thermal shielding. The Korean Domestic Agency (KO-DA) signed the first contract with industry for assembly tooling this week, following a call for tender launched in January. The contract with SFA Engineering Corp covers the design of all assembly tools allocated to Korea. It also covers the manufacture of the sector sub-assembly tools, which are those required for the very first stages of ITER assembly. 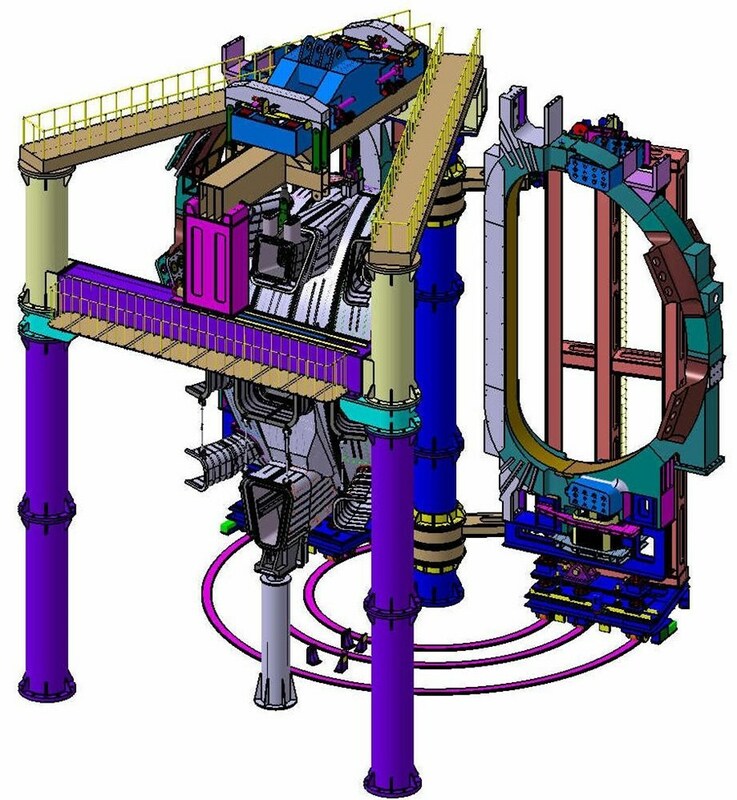 SFA has been involved with the conceptual designs of the ITER assembly tools through design contracts from the KO-DA since 2005. With this latest contract, the company will move on to the next stage: design and manufacturing of the assembly tools. In the scope of the Procurement Arrangement for assembly tooling that was signed last August between the ITER Organization and Korea, the KO-DA is responsible for procuring 122 different types of purpose-built assembly tools for ITER. These mainly motor-driven or hydraulic-powered tools are designed to accomplish specific tasks—lifting, adjusting, supporting, transporting, aligning—during assembly of the ITER Tokamak device. 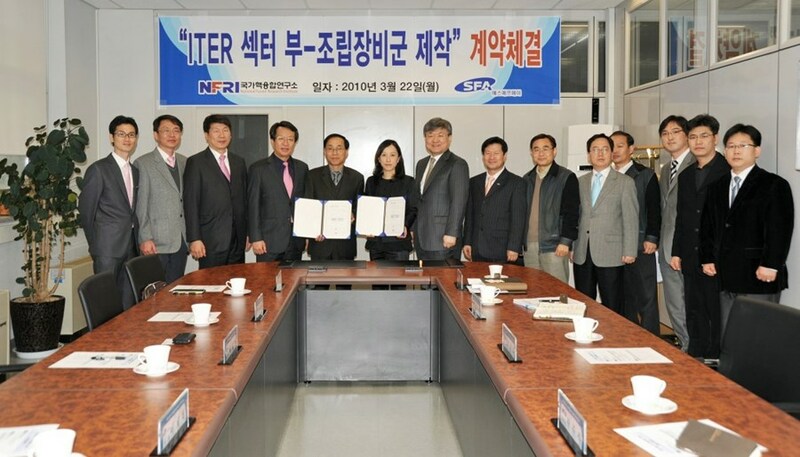 Signature of the contract took place on Monday, 22 March in the presence of representatives from the National Fusion Research Institute (NFRI), ITER Korea, and SFA Engineering. "This is a very challenging procurement," says Kihak Im, Responsible Engineer for the in-kind assembly tooling at ITER. "The size and weight of the components, as well as the very tight tolerances for manoeuvring, puts this in the realm of 'never-before attempted.' In some cases, we'll be working with tolerances of 2-3 millimetres to position components that stand 20 metres high and weigh hundreds of tonnes." The contract with SFA is for a period of 54 months. The contracts for the manufacture of the remaining assembly tools will be placed before May 2012.